ATLAS together with ATLASPACE ("ATLAS"), announces the completion of Round A2 Financing from Mr. Li Sze Lim, Star River Group Limited ('Star River') and Times China Holding Limited ('Times China') (in alphabetical order) with the latest valuation of RMB 6 billion. The joint investment from Mr. Li Sze Lim, Star River and Times China will assist ATLAS in consolidating real estate industry resources and further enhance its leading position in the flexible workplace industry. 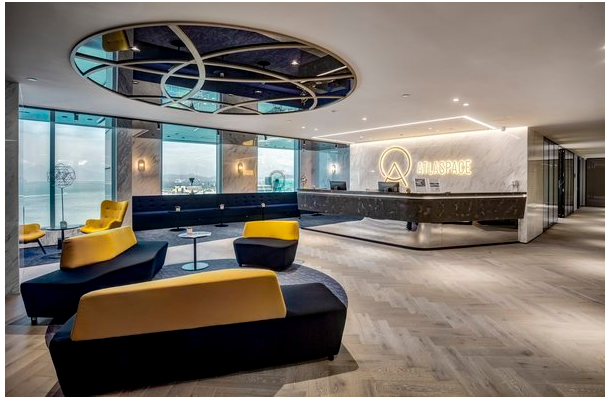 "The new investment truly demonstrates the high recognition from the real estate industry in ATLAS' unique business model as a 'full-cycle' office building operator. It also shows the strong confidence in ATLAS' future development," said Chen Silang, Chief Executive Officer of ATLAS. "The three new investors all have strong and well-established reputation in the real estate market. In addition to financial resources and high quality project pipeline, the strategic investment will unlock synergy and set a new industry standard." The investors have extensive experience in real estate development and operations, and their businesses expand across offices, hotels, commercial services, property services and financial services. The new investment will bring stronger resources and support to ATLAS for future development. According to ATLAS, the recognition and new fundings from Mr. Li Sze Lim, Star River and Times China is a testament of ATLAS' ability to create values for both developers and property owners. ATLAS' diversified products and service offerings are able to widen the revenue channels and shorten the payback period of office building assets, which increase the asset value and differentiate the buildings from others alike in the CBD market -- an unique solution to the ever increasing office supply. This round of financing will enhance the strategic cooperation between ATLAS and the three investors, and accelerate ATLAS' development. It is expected that the total gross floor area managed by ATLAS will surpass 500,000 square metres by the end of the first half of 2019. ATLAS entered the flexible workplace market since June 2017, with a primary focus on Grade-A office buildings in CBDs across tier-one and key gateway cities. Currently ATLAS operates a total 200,000 square metres across 23 projects in Beijing, Shanghai, Guangzhou, Shenzhen, Hangzhou, Xi'an, Hong Kong and Ho Chi Minh City. ATLAS is committed to enriching the working environment of CBD professionals through continually innovating and integrating various lifestyle elements into a workplace. ATLAS Workplace provides flexible one-stop workplace solutions, including co-working, serviced offices and tailor-made offices; ATLAS Living Space has over 10 self-owned brands encompassing F&B outlets, cafes, sports and art studios, to create an ecosystem for increased cross-selling and business referrals; ATLAS Community provides an information exchange and sharing platform for business professionals. Earlier in January, ATLAS has secured strategic investment from PAG Real Estate, one of Asia's largest alternative investment management firms, and Goldman Sachs, a leading global investment banking. ATLAS is a leading CBD full-cycle Grade-A office building operator, offering space and services under ATLAS Workplace, ATLAS Living Space and ATLAS Community. ATLAS Workplace provides flexible one-stop work solutions, including Co-working Spaces, and Serviced Offices and Headquarters by ATLAS. ATLAS Living Space is combined with fitness, food and beverage, and artistic elements, to transform the mundane work style of CBD employees, to create an amazing ATLAS Community with 365 days of activities. Currently ATLAS operates a total 200,000 square metres across 23 projects in Beijing, Shanghai, Guangzhou, Shenzhen, Hangzhou, Xi'an, Hong Kong and Ho Chi Minh City. PAG Real Estate, Goldman Sachs, Mr. Li Sze Lim, Star River Group and Times China are ATLAS’ strategic investors.